Dreaming about travel is one of my favourite pastimes. I love planning the adventures that I can go on once I’m not tied down to travelling during the school holidays! And Japan is one of the destinations high on my travel wishlist. I’ve mentioned before that I would love to travel there once the boys are off doing their own thing. Several airlines fly from UK airports to Japan, so I’d probably choose to fly from Liverpool or Birmingham to Tokyo. From there, I’d take the Shinkansen (bullet train) to Kyoto, and then carry on afterwards to Hiroshima. The bullet train takes just 2 hours 20 minutes to cover the 318 mile journey between Tokyo and Kyoto. It’s definitely something that I’d want to experience while I’m visiting Japan! High on my list of reasons is the vast history of the country, and there are plenty of historical sites that I’d like to see. A visit to Tokyo wouldn’t be complete without seeing the Imperial Palace, home of the Emperor and Imperial family. You can take a tour of the grounds, but the inner palace is only open to the public on 2nd January (New Year’s Greeting) and 23rd December (the Emperor’s Birthday). I’d also love to take part in a traditional Japanese tea ceremony, in a tea house like the one in the picture above. This ceremony is full of etiquette and ritual, and is beautifully choreographed. I’ve watched videos of the ceremony, but it would be very special to experience Chanoyu in Japan. Kyoto is the old capital of Japan, and lies around 300 miles away from Tokyo. It is famous for Buddhist temples, Shinto shrines, and imperial temples. I especially want to visit Fushimi Inari-taisha Shrine with its path of over 5000 vibrant orange torii gates. This Shinto shrine sits at the base of a mountain and includes trails up the mountain to many smaller shrines. And I would also want to visit Hiroshima, to pay a visit to the Hiroshima Peace Museum and see the Genbaku Dome. Another reason for visiting Japan is to see some of their beautiful gardens. So I’d definitely want to visit Omiya Bonsai gardens and museum in Tokyo. The Omiya Bonsai Art Museum opened in 2010 and is the world’s first publicly run museum dedicated to bonsai art. More than 100 bonsai masterpieces and bonsai-related artifacts such as bonsai pots are on display in the museum. Another form of Japanese horticulture that you might already know is a zen garden, like the one in the photo above. It is usually a small garden which is meant to be seen from a single seated viewpoint. Carefully pruned trees and bushes, and composed arrangements of rocks, moss and water features are seen in this kind of garden. Gravel or sand is used to cover the ground, raked to represent ripples in water. Ryoan-ji Temple in Kyoto has some beautiful rock gardens that I would love to visit. If I was choosing a time of year to visit Japan, I would definitely pick Spring. From the end of March to early May, cherry blossom (Sakura) blooms all across the country. There is a custom in Japan of holding parties outdoors under the flowering Sakura, and the weather bureau even issues a blossom forecast. Those organising the parties keep a very close eye on the forecast, as the blossom only lasts for a week or two. I love the idea of getting together with family or friends underneath the beautiful cherry blossom! Japanese and Korean beauty is a big trend in the UK right now. You probably already know the brands Shu Uemura, SUQQU and Shiseido, but other brands can be harder to track down. Japanese beauty products tend to be made from more natural ingredients, and give great importance to the overall look and health of the skin. I’d love to take a shopping trip in Tokyo, to see what goodies I could pick up! And finally, Japan is high on my dream list of travel destinations because of the delicious food. They’re all foods that I’ve eaten many times here in the UK. Just imagine how much better they would taste if I was eating them in Japan! Oh, and I really want to go to a deparchika – the basement floor of a department store which is full of all sorts of food counters. Everything from tempura and sushi, to fresh fruit and vegetables, and a huge selection of cakes and desserts. Japan is such an amazing country, with so much to see and do over there. That’s why there are so many reasons for visiting Japan! Japan has always been high up on my husband’s bucket list – we will bookmark this! I would absolutely love to visit Japan. 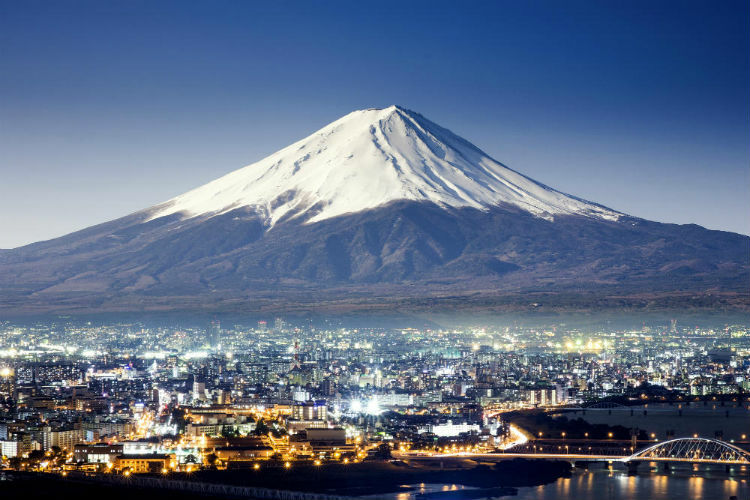 I’m not as well travelled as I would like to be, but Japan is high up on the wishlist! The zen gardens and bonsai trees would feature on my top 5 reasons I want to go too. I’m a big fan of sushi and Japanese food, so would love to visit Japan! A great post – Never thought about visiting Japan before – sounds like a good place to visit though with your reasons. Japan is also high up on my list of places to travel too. The temples look absolutely stunning and of course the food is really tempting! I have not been to Japan yet but I would really love to go. I’d especially love to try traditional food in japan and learn more about the culture. It looks beautiful too! Japanese Gardens are some of the most beautiful in the world, I love their Bonsai’s and blossom trees. I’ve wanted to go to Japan for years – I hope I get to go! I’ve always wanted to visit Japan too! Two of my friends got to visit for a conference and I was so jealous of them! Why can’t I get invited to a conference somewhere like that? That would be fab! The minimalist interior design inspired by the East is my absolute favourite. Japan is on my travel bucket list too! Mark is a big fan of minimalism as well, I’m sure he’ll love it! Japan is definitely on my bucket list – it’s all I talk about. I’m hoping to go next year. The Japanese culture and food are my top reasons to visit Japan. You got me with your photo choices; all are tempting and stunning. I would love to go it looks so beautiful there and I love the food! Japan is very high on our list and we are looking at visiting next year. The food and the culture just looks incredible. It’s always been my husband’s dream to visit. I have never thought of visiting Japan. Would love to now that I have read this. I would love to visit Japan one day! I could spend hours in the zen gardens! Its my dream since i was 10 years old.i’m 50 now!! !.some day (i hope not too far) i’ll be there.